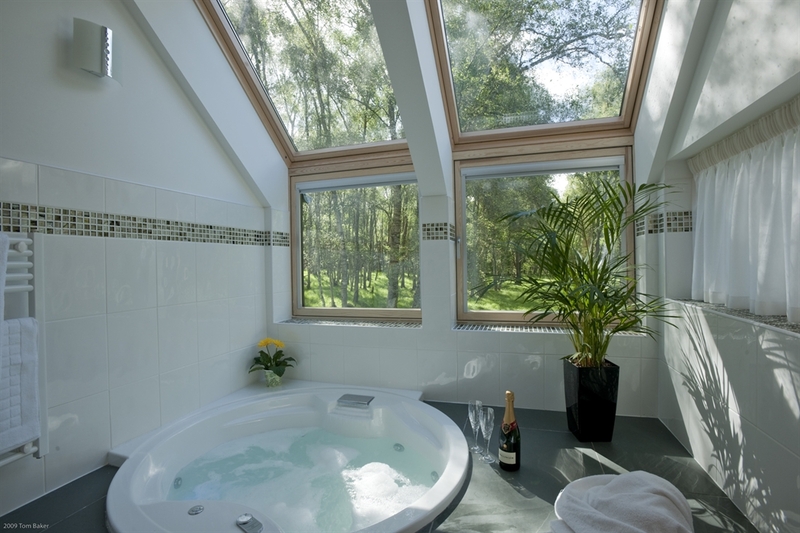 Our 5 Star eco lodges are the last word in luxury and perfectly set up for couples. 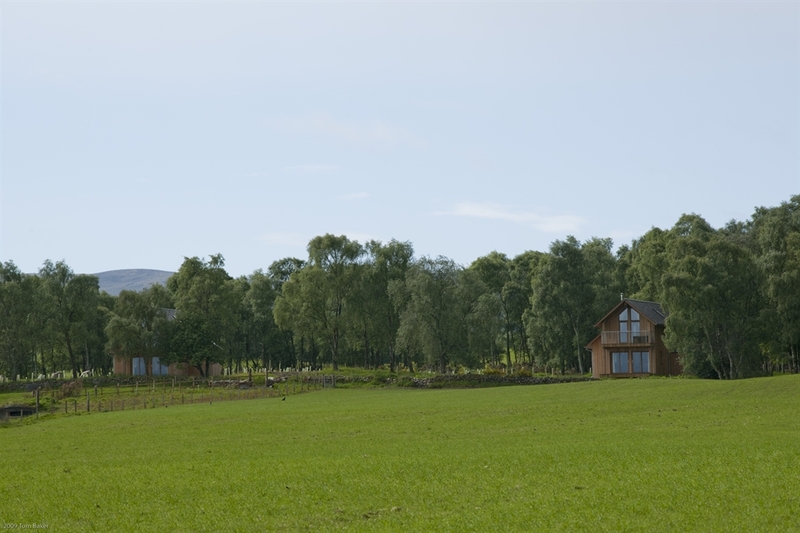 Nestled into a stunning rural woodland setting, The Lodges at the Mains are located within reach of Loch Ness, the Cairngorms National Park & Speyside yet only a few miles from Inverness Airport. Our two contemporary luxury lodges are designed for couples to give a truly wonderful holiday experience with the least impact on the environment. 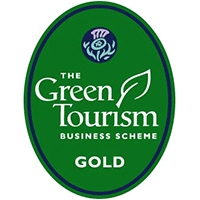 State-of-the-art green technology, including ground source heating, solar panels and cellulose insulation, combines with stylish interiors and stunning views to give the modern Scottish feel. 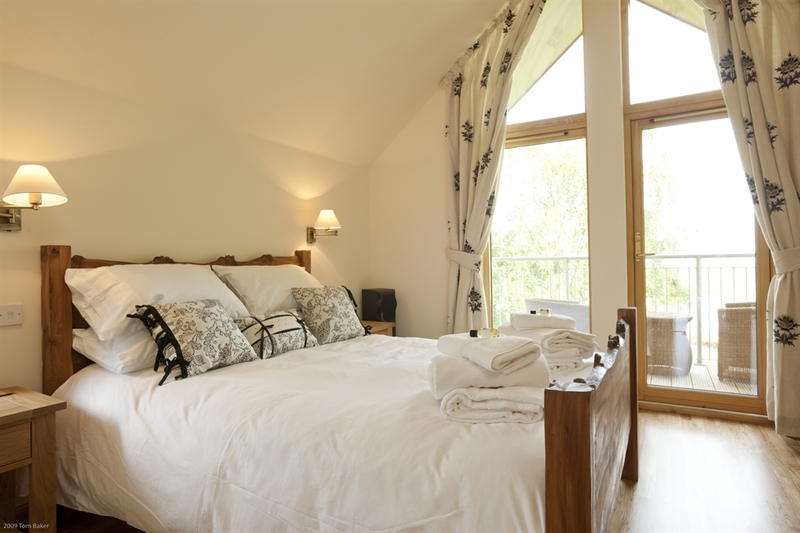 Relaxation and comfort are assured in the peace and tranquillity of the woodland setting, home to abundant wildlife. 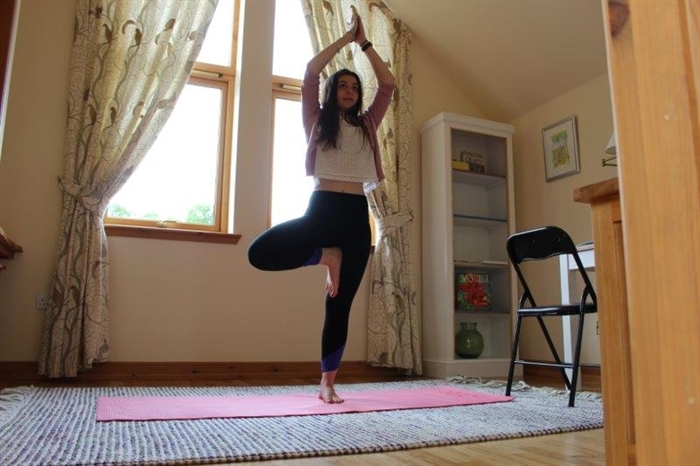 Visit our website through the link on the left or at the bottom for more information. 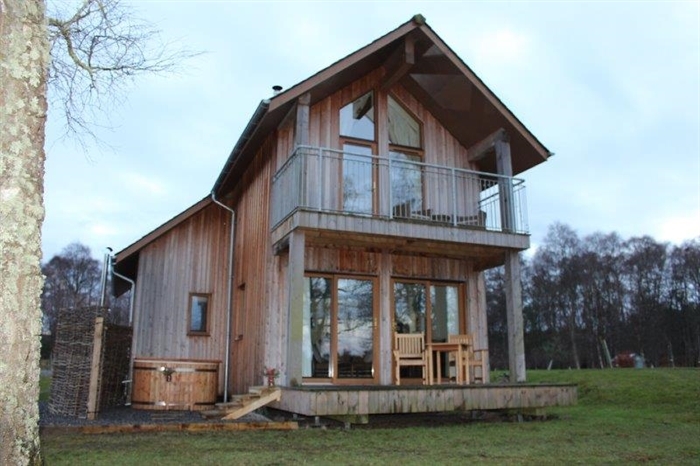 Situated ten miles from Inverness, the capital of the Highlands, the lodges afford easy access to major tourist attractions such as Cawdor Castle, Culloden Battlefield, Fort George and Loch Ness. Gourmet restaurants, theatres, championship golf courses and many other amenities are all within a few miles. Locally there are many woodland walks and a well stocked village shop. 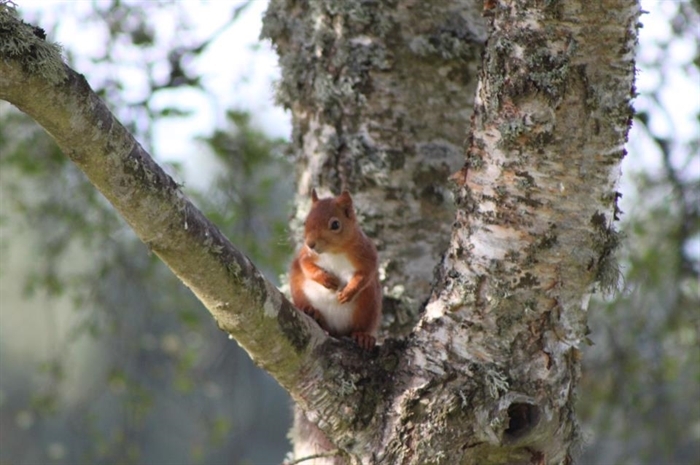 Scotland's magnificent west coast, its islands and stunning scenery are easily accessible for day trips whilst to the south lies the Cairngorm National Park with a host of adventure sports and activities year round. 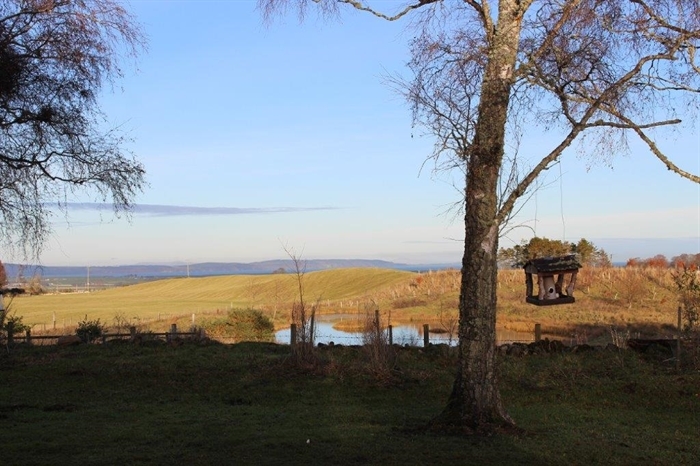 If whisky or fishing are more your style then fear not as the lodges are right on the edge of Speyside. Heading north lets you travel through the Flow Country and onward by ferry to the Orkney and Shetland Isles. 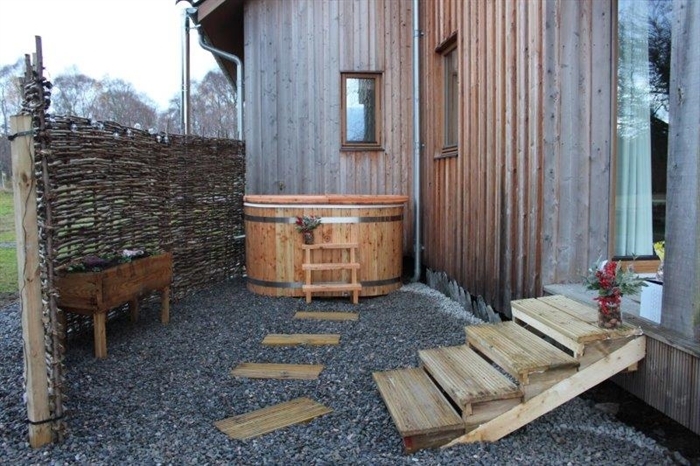 The lodges have many outstanding features - each has a wood fired hot tub with outstanding views, under floor heating on all levels, multi room sound system, a wood burning stove, bespoke furniture made by a local craftsman and natural materials throughout. 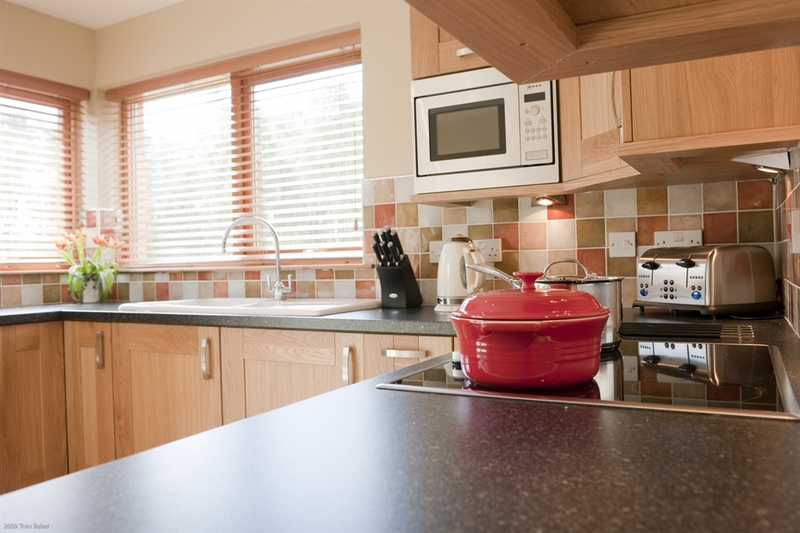 The kitchen is fully equipped with top quality modern appliances including a dishwasher, fridge freezer and washer/drier. This 21st century technology combines effortlessly with the natural materials used in the kitchen units and flooring and creates a relaxed ambience, perfect for cooking a romantic dinner for two. 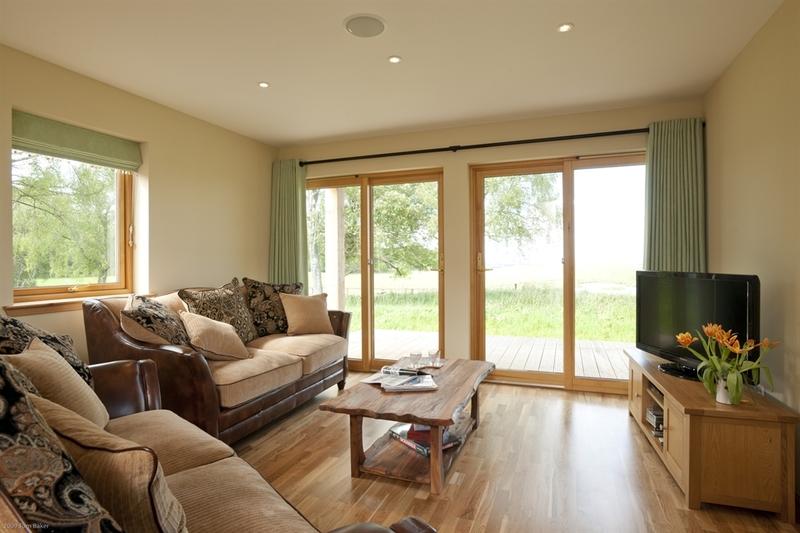 The spacious lounge comprises comfortable sofas, wide screen HD TV with Blu-Ray DVD player, iPod docking station, wi fi, wood burning stove, maps, board games, books and stunning views. The dining area comprises bespoke dining table crafted from home grown elm and comfortable chairs. A ground floor bathroom and spacious hallway completes the downstairs area. The oak and glass staircase leads to the mezzanine floor which contains a stunning whirlpool bath, ideal for relaxing in whilst watching the stars above. 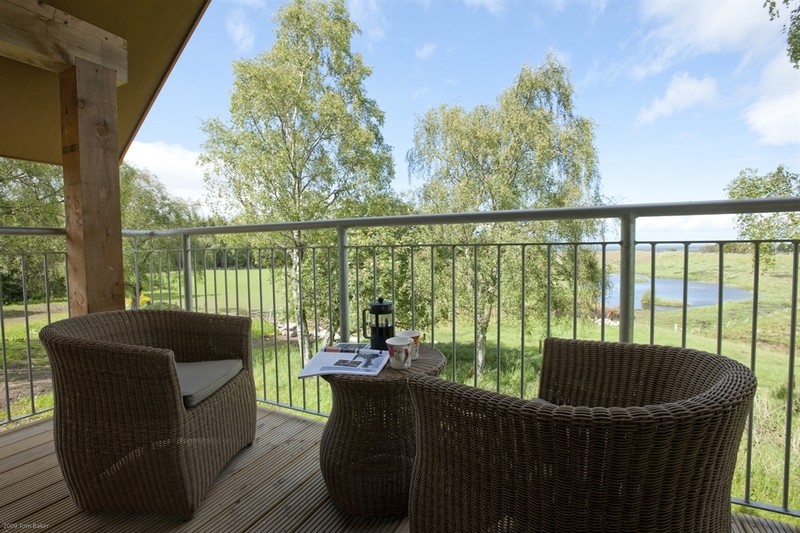 Whilst staying at Lodges at the Mains you will be able to enjoy watching local wildlife and from the privacy of the hide, the many birds nesting and visiting the close by lochan. The lodges are intimate with their environment and heighten your awareness of weather and season bringing your senses to life, from winter's first frost to autumn's glory.